Maybelline Color Sensational lipstick is quickly becoming my favorite lippy. So far, my go to color is 305 Copper Charm. The lipstick is smooth, does not feather or dry your lips, and fades gracefully. 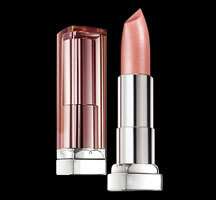 The lippy is reasonably priced, and can be purchased at most drugstores. Copper Charm is also an excellent color for dark complexions. I will purchase again.